When I first started driving, one of my closest friends and I used to think it was all sorts of fun and cool to trade cars after school just to feel the excitement of driving something different. Now that I am a grown up, I try not to run such risks in life and hope that my son doesn’t one day put his car (my car) in the hands of someone else. However, what I would enjoy right now is an innocent and harmless swapping of playlists with someone just to feel the excitement of listening to a totally different mix of music while I run. I love my songs, really I do, but lately, geez — I am tired of everything that I am hearing. I switched off my playlist in favor of Pandora mid-run yesterday morning and got super lucky. In fact, I believe that the songs that randomly came on were signs for me to realize I should be running in the Long Island Half Marathon this Sunday. After posting yesterday about loving to run in the rain but not really wanting to run a race in the rain, hearing Rocky IV music made me realize I have trained enough in various weather conditions (sort of like Rocky in the Russian frozen tundra) to handle this race just fine come rain or shine. Oh how I love both of these songs. And yes, I immediately purchased both Hearts on Fire and Burning Heart to add to my playlist. You know you want to trade playlists with me, just admit it. So. Now that I have decided to run the half this Sunday, it is officially a taper week. Time to reduce my mileage, make sure to alternate my running with cross training days, rest on Friday, eat my bananas, sweet potatoes and peanut butter (because peanut butter occurs 24/7 and 365) and keep up with my hydration. Note I say keep up with my hydration. I have kept up my extra glasses of water since my last taper week. In fact, I have even replaced a few cups of coffee from my day with water as well. Listen, I love coffee. We know this. Lately I just felt like I have been consuming too much of the caffeinated goodness and have slowly (and pretty easily) reduced my intake. I always thought I would replace those hot mugs of coffee with tea but I just haven’t felt like tea. Do you like tea? How about Green tea? I can’t drink Green tea. It makes me dizzy. Weird, right? I don’t know why this is exactly. I even did an entire research project a few months ago on the health benefits of consuming green tea and came up with nothing all that conclusive as to why I don’t feel so well after having a few sips. The only thing I have deduced from my research and experiences is that green tea has been linked to lowering blood pressure and when combined with my already low blood pressure, we don’t have a winning combination. I actually can’t drink any caffeinated tea for basically the same reason. Several cups of caffeinated coffee? No problem. Tea? You may find me on the floor. But green tea is super healthy for you. It’s a shame I can’t drink it. 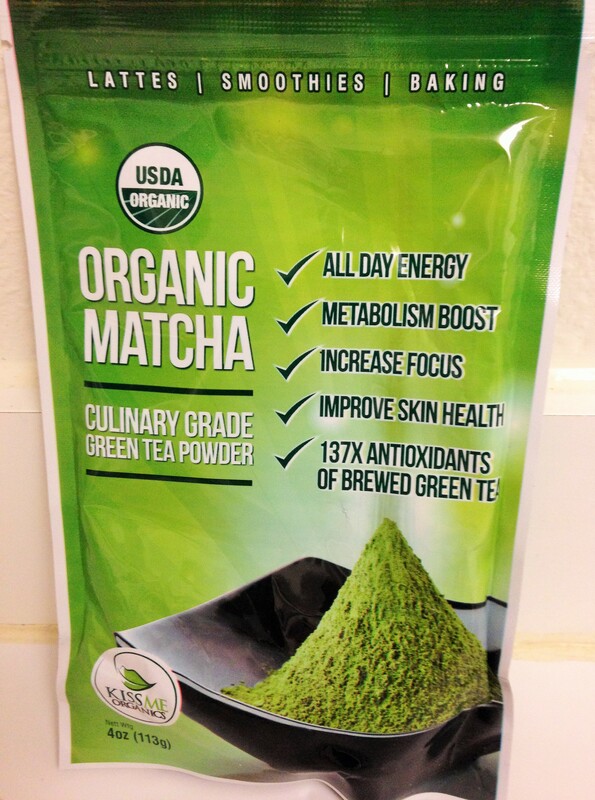 Recently, I was contacted by Kiss Me Organics to review their Matcha Green Tea Powder for lattes, smoothies, baked goods and various other recipes. Matcha is a finely milled or fine-ground powder form of high quality green tea. 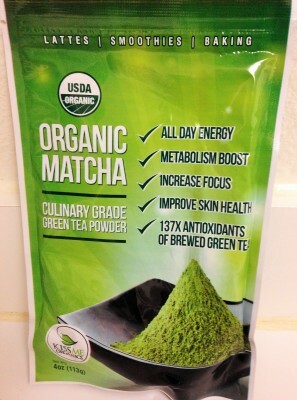 Just a 1/2 teaspoon of the Matcha green tea provides you with 137X the antioxidants of an actual brewed cup of green tea not to mention it is organic and free chemicals and preservatives. You can add Matcha to shakes, smoothies and other beverages as well as baked goods, waffles and probably your morning bowl of oatmeal. Since regular green tea doesn’t agree with me, I obviously cannot use this product in fear of finding myself passed out on the floor. I didn’t want you to miss out on trying Matcha so I did a bit of research on this product and read enough reviews about Matcha Green Tea Powder to feel comfortable enough to host a giveaway today. Are you bored with your music playlist? Have you added any new songs? Are you a coffee or tea drinker, or both? Does green tea make you dizzy? Ever try Matcha? What have you added it to? I received a bag of Matcha Green Tea from Kiss Me Organics but was not compensated for this post. All thoughts and opinions expressed are my own. WIAW- Why Are Blueberries So Expensive? You’re totally going to rock that half!! 🙂 Good luck! I love all sorts of tea! Recently I have been mainly drinking green tea with fresh lemon squeezed in for the great health benefits! I love green tea!! 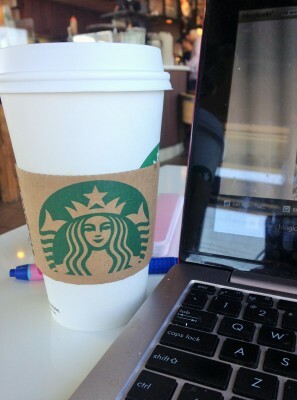 I drink at least 1 cup a day! OMG Yay I am so excited about your half this weekend! And I love Pandora for running when you don’t know exactly what you want to hear. I get sick of my music all the time and I’m constantly downloading new things (which, hello adds up fast $$) so Pandora is usually best for me. 🙂 But sure, we can trade playlists, ha! Does your Pandora lose reception as often as mine? Or worse, when I am running and loving a song, suddenly it freezes and then jumps to a new song. Makes me so angry! Hilary recently posted…IIFYM Information ! Ohhhh a caramel caffeine free tea? Now that I need to try. You don’t want to trade playlists with me. I haven’t updated mine in… too long… and I find myself skipping past most of my songs. That might be part of the reason why my random exercise sessions have been missing that OOMPF lately. Definitely something to look into. and I’m the same way with green tea, but it makes my stomach do goofy things instead of my head. Not a fan. I wish I was, though! It’s supposed to be good for you. Don’t feel bad. I update my list and still hit shuffle even when it is already set to shuffle. I can’t get into any of the songs at the moment. Coconut oolong, all the way. Green tea is a close second though. I never used to like green tea unless it was fruity. But lately that’s all I’ve been drinking! It might be partly because I keep forgetting to take my almond milk to work. Have you tried herbal teas? Or fruit based teas? I’m a tea MANIAC, it’s actually a problem. But my husband, a tea convert has found many that he enjoys. Rooibos is a good option, but next time you’re at Starbucks try a passion tea, or a wild sweet orange. They might help do the trick! Bex recently posted…A Weekend Re-Cap. Nature, Nurture, and a Sandwich that almost delivered. I go through phases and love certain Yogi teas that are caffeine free (Kava Stress Relief is one of my faves)..Other than that, I stick to coffee in fear of the dizzying effect so many of the teas have on me. I once had a mandarin orange flavored tea and that one was great! I’m not a huge tea drinker, but I do love ginger tea! I’m always asking my friends for music recommendations, because I love updating my running playlist. It makes each run so much more exciting! Totally agree. 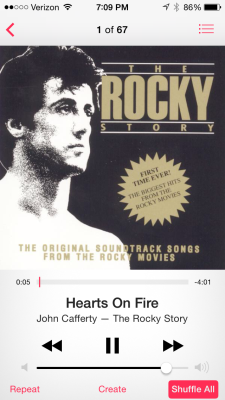 A good playlist or even one or two great songs makes a run that much better. I usually LOVE a playlist or song and listen to it on repeat for the next month until I am burned out then I absolutely hate it…rinse, repeat. I don’t mind iced green tea but I really don’t care for it hot. I’ll have to give matcha powder a try! Ha, I am the same way! I try with my running playlist to not listen to the same songs on the radio or even use it for cross training just to make the songs stay fresh and appealing to me for as long as possible. Ooh! I love Green Tea and would love to win this Giveaway! I’ve never tried Matcha, so I definitely am intrigued on how it tastes. Most likely I’d use it in smoothies (adding different types of fruits/berries). I’m a coffee drinker, Green Tea drinker (on occasion) and like flavored waters. Oh I bet blueberry tea is terrific! 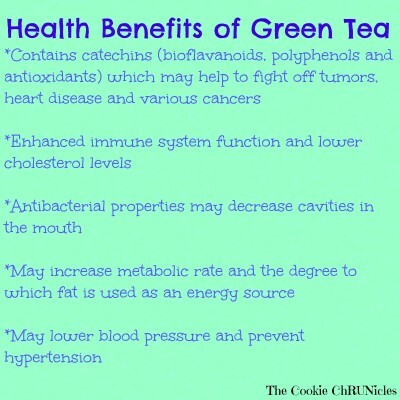 I love green tea…even more than coffee! Crazy! I’ve always loved drinking green tea, My grocery list wouldn’t be complete without a box of green tea bags. Just like you I like drinking tea best with my favorite music on. I find it very calming which is why it is my quick fix when I’m so stressed out and in desperate need of a relaxing escape. What I love most about it is of course the health benefits. I personally find it helpful for my digestive system and bowel movement. Like what is mentioned here it also helps your body release excess cholesterol from the food we intake. I think that nowadays more people are being aware of the benefits of drinking tea and for me people should start to substitute tea for coffee. 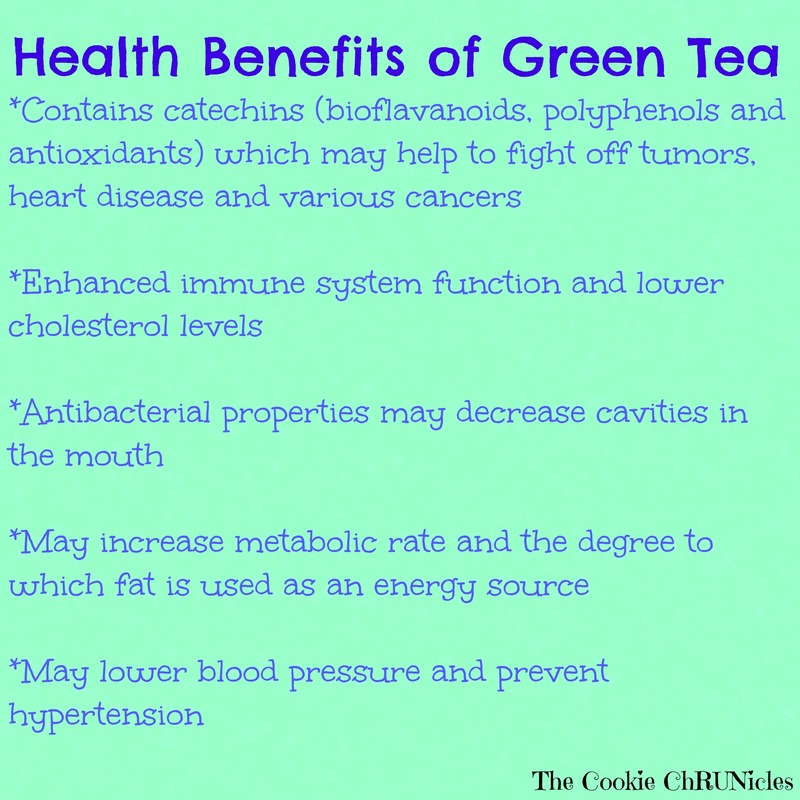 I’ll be honest, I love tea but green tea isn’t one of my favorites, but I do drink it on occasion because I know it’s good for me, however I didn’t know it had the added benefits you mention here. Thanks for sharing..